Xiaomi Mi Max 3 Leaked Online - Reveals 18:9 Display & Dual-Camera! The Mi Max 3 is going to have an even bigger display and a bigger battery than its predecessor the Mi Max 2. Chinese smartphone manufacturer Xiaomi launched Mi Max 2 in the country back in June last year. The phablet received a mixed response in India. The company is expected to launch their next iteration in the ‘Mi Max’ series by the second quarter of 2018. An image of the upcoming Mi Max 3 was posted on Chinese social media site Weibo, which revealed some key details of the smartphone. The all-new new Xiaomi Mi Max 3 will come with a 6.99-inch display with an 18:9 widescreen aspect ratio, an increasingly common feature among smartphones of all the price segments. Not a lot is known about Mi Max 3 so far, but the latest leak has revealed some major details about the upcoming Mi phablet. The Mi Max 3 will come with a gigantic 6.99-inch display with an 18:9 widescreen aspect ratio. 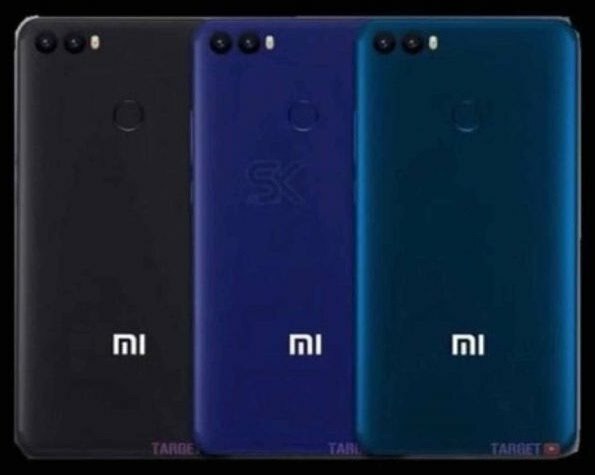 The device is expected to feature a full-screen design just like Xiaomi’s recently launched entry-level smartphones, Xiaomi Redmi 5 and Redmi 5 Plus. Going by the Mi Max 2, it would be safe to assume that the new Mi Max 3 will come wrapped in a metal unibody. The fingerprint scanner will be located at its usual place on the back as the bezels will be much thinner than its predecessor. As per the leak, Xiaomi Mi Max 3 is believed to ship with the latest Qualcomm Snapdragon 635 chipset. But there are contradictory reports which suggest the use of a Snapdragon 660 chipset. The new SD 635 SoC is said to be manufactured with 14 nm process technology, and is an enhanced version of the popular chipset SD 625. As per the leak, the Mi Max 3 is said to sport a 12 megapixel rear camera and a 5 megapixel selfie shooter. Earlier reports however have suggested that the smartphone will come a dual camera setup at the back. Mi Max 3 will run the latest version of MIUI 9 which is currently based on Android Nougat. Given Xiaomi’s track record of software updates, the Oreo update might take time. The ‘Mi Max’ series is famous for its huge capacity batteries. The Mi Max 3 is said to come with a huge 5500 mAh battery. The smartphone will support Qualcomm’s new Quick Charge 3.0 fast charging technology, and will come with reverse charging feature as well. The leaked Weibo post suggests that the Xiaomi Mi Max 3 might get launched sometime in month of June this year in India. It is expected to be priced at around 1,699 yuan (approximately Rs. 17,000/-) for the base variant. Xiaomi Mi Max 2 was launched back year in June and is currently available in India at the discounted price of Rs. 13,999/- for the base variant, while the higher variant costs Rs. 15,999/-. "Xiaomi Mi Max 3 Leaked Online - Reveals 18:9 Display, Dual-Camera & More! ", 4 out of 5 based on 6 ratings. Samsung Galaxy J2 (2018) Launched – Can It Beat The Redmi 5?